Ontario Environment Industry Association - Environment Industry Day April 5: Register now! Environment Industry Day April 5: Register now! 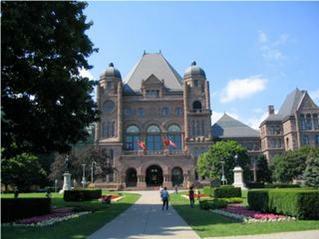 We have confirmed April 5 as the date for this year's Environment Industry Day at Queen's Park. The day will feature meetings between select ONEIA member teams and MPPs and Ministers, a luncheon address by the Deputy Minister of Environment, extensive roundtable discussions with senior staff from a range of ministries and an evening reception co-hosted by the Minister of Environment. Registered attendees please join us at the Sutton Place Hotel at 11.30 for check-in. Lunch begins at 12:00 noon. Roundtables will commence after lunch. The closing EID reception starts at 5:00 PM at the Legislative dining room, Queen's Park. Meetings with MPP's are closed to only those individuals who have been confirmed by Alex Gill, executive director ONEIA, as a member of an MPP meeting team. Each year at Environment Industry Day we offer our members exclusive access to a luncheon address by the Deputy Minister of Environment and afternoon roundtables with senior policy makers from several different ministries. If your firm is not yet an ONEIA member, consider taking advantage of ONEIA's trial membership offer that includes admission to EID. Please consult the following document or contact the office directly at info[at]oneia.ca to discuss further.